Allie needs to lose weight. We've completely cut out treats of all kind. We've taken her off kibble. We've upped the exercise (although not nearly enough). I mentioned this to friend and fellow blogger, Glogirly, several months ago, and she shared with me that Katie was in much the same situation a few years back. Then she shared how they had managed to get Katie down to her current svelte weight - she switched Katie's diet. Our Glam Girl needs to stay healthy - and that means a healthy weight. The food Katie ate while she dropped the pounds was Merrick Purrfect Bistro. Specifically Grammy's Pot Pie grain-free canned recipe. I like grain-free, it's all we feed at our house. And I also like canned, as I personally think canned food is much better for a cat, long-term, than dry kibble. Glogirly explained that her veterinarian had done a bit of research into the higher-quality pet foods and really liked what she saw with the Merrick Pet Care products. So Katie began a months-long journey to becoming a thinner feline. 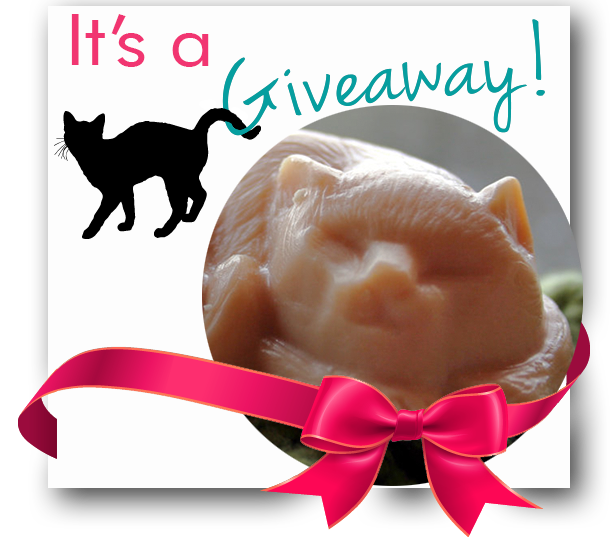 Then last month at BlogPaws, Glogirly took me over to the Merrick booth to hook us up. If it worked for Katie, it'll work for Allie, she thought. And she's right. So today, we're announcing a six-month partnership with Merrick Pet Care. A partnership to help our Glam Girl shed the pounds. 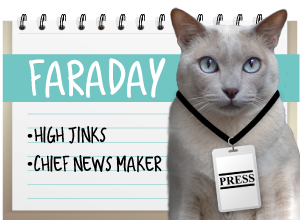 We'll be posting monthly reports, complete with weigh-ins, so you can see how our feline fashionista is progressing. 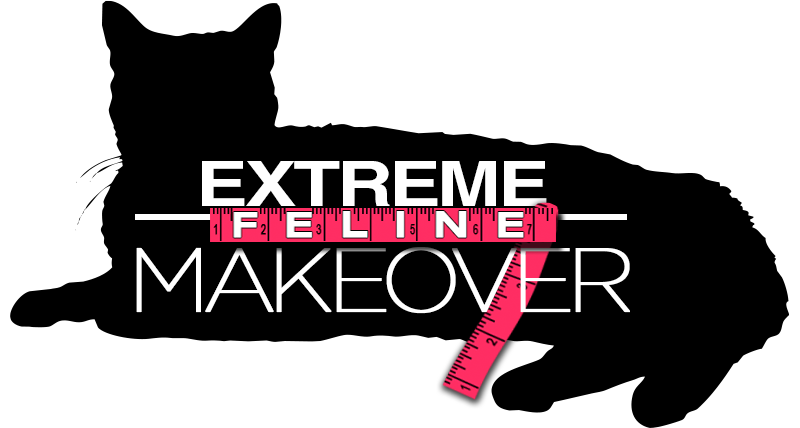 #TeamAllie is the first ever Extreme Makeover, Feline Edition! Why six months, you might ask? It has to do with proper feline weight loss. Katie took the weight off the right way: slowly. Very, very slowly. You see, cats' systems are so efficient that a drastic calorie reduction can be dangerous - even deadly. We'll be using this six month journey to discuss the importance of feeding a quality, healthy diet. And we'll also highlight the many reasons pet obesity can cost you far more in vet bills than you'll ever spend by buying the right kind of pet food. I admit, before we joined up, I "test drove" Merrick's Grammy's Pot Pie with Allie. Cats are notoriously finicky, and I wanted to ensure that our girl wouldn't turn her little pink nose up at it. No worries there! She looooves it. A lot. And to think she's going to get three squares of the stuff a day. She'll be in kitty heaven! Allie's ready to show her "before" photo - and while we have been guilty of using camera angles and cropping to show her in a more "slender" light these past few years - no more! We're excited about our weight-loss journey. I absolutely believe that having a healthy pet depends on feeding good quality food and maintaining a proper, healthy weight. Allie's game face is on. Won't you join us? 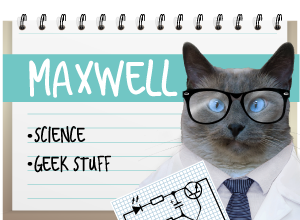 FTC Disclosure: Our Extreme Feline Makeover series is sponsored by Merrick Pet Care, and we have received both food and a small fee to compensate us for each post. This covers the time it takes to take photos and write our progress reports. Every sponsored post on A Tonk's Tail will always reflect our honest and unbiased opinions. Merrick Pet Care is not responsible for the content of this article, and Grammy’s Pot Pie is not specifically formulated for weight management. This effort is part of an overall health and wellness regime for Allie. This is so exciting! I can't wait to watch Allie's weight loss journey. This has nothing to do with weight loss, but Merrick Purrfect Bistro has special meaning to me as well. Tara discovered this food, the Salmon Pate, just a couple weeks before she passed away and it made her so, so happy. The morning before she went to the Bridge I went out and bought her a few more cans. She ate a whole can that day so she had a "happy tummy" one more time. I still have the 2 cans she never got to eat. I actually need to pick up some cans for Truffles to see if she loves it just as much! Oh wow, Melissa, that's such a sweet and touching thing. We can see why Merrick would hold a happy place in your memories! Good luck Allie. We hope it goes well and you make the new weight. Have a marvellous Monday. oooooh....Allie, yoo didn't look(or sound) very happy at da weigh-in...but yoor new food sounds kinda yummy. Anyting made by 'grammy' has got to be good right? I just hope yoo don't get grump (ier) like mom does when she diets! So 6 months...dat January! New year, new Allie *shudder* But,tink of all da bling yoo'll get until den! Allie, you are beautiful winner in our book everyday...and we hope your journey to a smaller and svelter ladycat is a successful one! As Katie lost weight, and you're right it was super-gradual and over the course of many months, she became more active and sprite even in her everyday activities. She still gets in a daily workout or two of chasing Waffles around the townhouse. (or is it being chased?) She would graciously like to offer Waffles' training services. All she needs is a current mailing address. HA! How exciting! 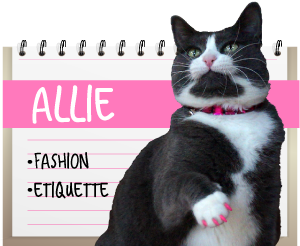 Mommy is very eager to see how it goes with Allie because she thinks it may be just what Meow-Me needs! I hope this works for you. I would be surprised that it would promote more weight loss than raw, but hey, I've been surprised before..
Btw, using the "biggest loser' icons might not be the true message you want to convey. That is actually a pretty unhealthy way to achieve weight loss. You did address that extreme calorie restriction for cats isn't healthy, but 'biggest loser' just conjures up images of unhealthy weight loss. Allie: Seriously! The indignity of being weighed was compounded only by being asked to STAND on that RIDICULOUS square of metal! Oh and YES, we totally know that the biggest loser show is. I may have to switch weight-loss coaches. Allie, you are beautiful no matter what size you are. Keep your curves girl! We think you're beautiful but healthy is best! Salem says: uh oh. I weigh more'n THAT! Allie, how could you let yourself go? Was it a mancat? You can tell me. I weigh a svelte 10 lbs cos I’m so finicky. I actually binge and purge. Well, not exactly but one day I’ll eat everything in my plate and ax for more and for the next few days I’ll barely lick the gravy out of my food. I’m supposed to be getting some Merrick to try but it hasn’t come yet. TW bought some several years back. I liked their turkey dinner but wouldn’t touch the pot pie. I guess that diet wouldn’t be for me. We sure hope this works for you, Allie. What's cool about it is that you can eat some good tasting foods so it doesn't feel like being on a diet! Good luck gorgeous Allie! When Mom switched us to grain-free kibble, the weight fell off all of us. Thank cod and toona no diet was needed! We'll be purring for you, sweet girl. Poor Allie did NOT want to get weighed! We hope the food helps her get to her ideal weight. Do you know where it's available for purchase? Lita needs to lose at least half a pound to be healthier. All the things I've implemented to get her to lose weight slowly don't seem to be helping so far. So if this food helps, I'd like to try it with Lita, too. Good luck Allie! Meowm has noticed that when she feeds us strictly wet food, no matter the brand, we tend to slim down. We know part of it is because we get only a certain amount, no grazing like we do with dry food. Grammy's Pot Pie is my favorite soft food and if it wasn't for our kibble-head Neytiri who refuses to eat soft food and will only eat grain-free kibble, maybe it would work for me to lose weight too. We will be excited to watch Allie's progress. Go Allie go! Very excited to follow Allie's weight loss journey! Good luck!